There’s a very important reason why we don’t really talk about the whole money thing with Mini Me Yoga- that’s not why we do it. When I was thinking long and hard about whether to write about this, I spoke to one of my Chums who’s a successful business owner and she asked me why I don’t talk about it at all. My friend reminded me that a piece of our Mission is to Empower Women by offering the Facilitator Training as a foundation to start a small business. The model is very simple- I show you how to run a children’s Yoga class. You charge a reasonable specified amount, and I show you the maximum class size and literally everything you need to get started. Kate Bartram-Brown intended Mini Me Yoga to be empowering for everyone- including the Facilitator who’s leading the class! Yes we train parents so they have this amazing program to do on a regular basis with their kids, And yes we train Educators to use our program in schools. But we also want women like you, who want a side income To be teaching the Yoga in your community! We have loads of ideas and suggestions to get you started right away! So no, I don’t think we talk about it enough, but there is a valid reason- we don’t want you doing this solely for the money. That’s not the Mini Me Way. We do our work for the children and the money comes as a result of our willingness to get it out there. 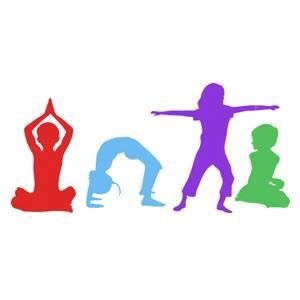 Are you ready to make a difference in the Life of a child by facilitating a great Yoga class? This is your invitation! Open your Heart and lets go!